Sunseeker Predator 72 - A floating rocket! 'Wolf' was delivered new into WA in 2008 and is currently attached to her second owner. I had the pleasure of spending a couple of hours onboard cruising off Fremantle on this magnificent craft and I have to say it was a delight! Even though she is 73FT in length overall, the bow and stern thrusters combined with electronic engine controls and an elevated driving position make handling particularly easy. This beautiful 3 cabin, 3 ensuite vessel is elegantly finished in satin walnut timbers throughout. If you have additional guests, you can always accommodate them in the crew quarters accessed at the rear of the vessel - perfect as a kids retreat! Although she cruises effortlessly all day at 20 knots, the boy in me raised a smile when I opened up the throttles of the V12,1550hp MAN's and nudged her up towards 40 knots. The spray from the chines was dispersed cleanly and away from the boat leaving the windscreens salt free, the dry ride is typical of this style of Mediterranean motoryacht. She is presented in 'turn key' condition ready to go with full service history and a berth available for lease if required. * Dinghy garage ideal for storing those extra water toys, dive gear or jet ski. Motoryachts Unlimited are luxury boat sales specialists focusing on the sale of luxury pre-loved power and sail boats, monohulls and cats. Sellers - Carry out some research and don't just list you boat with the first person to walk down the jetty that says he sells boats, this could cost you tens of thousands. We take the presentation of our listings seriously so that they stand out from the fleet and, would you believe it costs you no more to do this right. Professional styling, photos and aerial video are standard for every listing. Disclaimer: We have, in preparing this information, used our best endeavours to ensure that the information contained therein is true and accurate, but accept no responsibility and disclaim all liability in respect of any errors, inaccuracies or misstatements contained herein. Parties interested in any Motoryachts Unlimited consigned vessels should make their own inquiries and surveys to verify the information contained herein. Starboard side by side bunk beds with ensuite Crew cabin with two single berths, ensuite and aircon. 1. 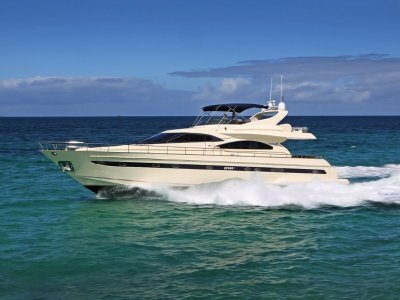 Brendon Grieve, director of Motoryachts Unlimited has been working in the industry for three decades. 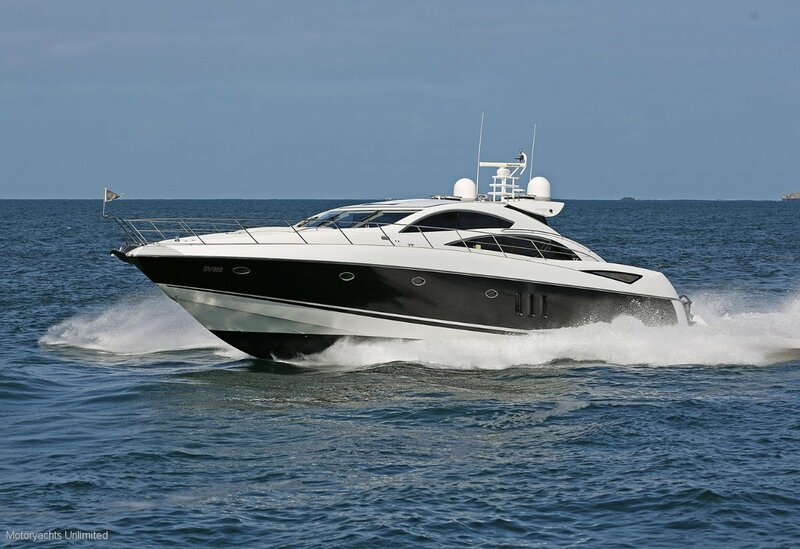 Valuing and selling luxury motor yachts has been his specialty since 1997 managing Aquarama Marina Brokers, R Marine Perth, Princess Perth and now Motoryachts Unlimited. 2. 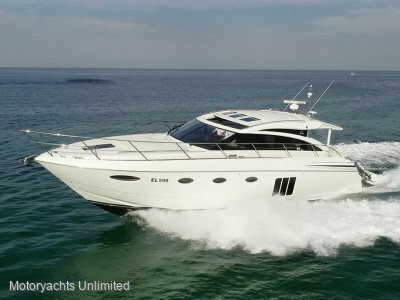 Motoryachts Unlimited collaborate with marine brokers from around the country - more scope to find you the right boat, or sell your existing. We can also arrange delivery... Anywhere! 3. Our showroom has no boundary. It extends to marinas around Australia and the world. 4. During the buying process Motoryachts Unlimited manage the pre-purchase inspections for you, giving you a list of independent surveyors from whom to choose from, then coordinate the test run, out of water and mechanical inspections. 6. After sales service is not a cliché, it is an important part of our business. If required, we will align you with the right technicians in your area to give you that ongoing support. 7. Motoryachts Unlimited produce videos tips to help boat owners to become more familiar with the operation, diagnosis and possible repairs of onboard systems to make your boating more enjoyable. 8. 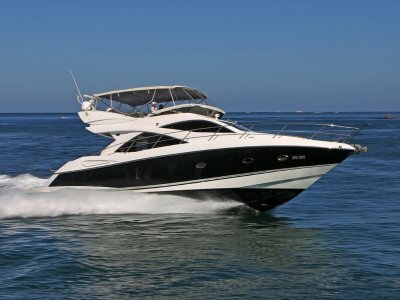 Motoryachts Unlimited can advise on the range of spare parts you should carry onboard, items common to most luxury boat brands, those parts which often fail or require regular replacement when you least expect it. 9. 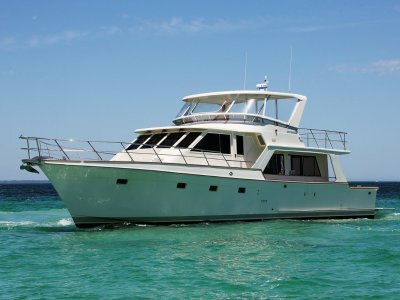 As members of the Marine Brokers Institute of Western Australia Motoryachts Unlimited maintain registered Trust Accounts, utilize the industry standard sales contracts and agency agreements and operate under a strict code of conduct and rules of practice set out by the Institute.